Société Cezanne > Cezanne aujourd’hui > L’année cézannienne > Cezanne and the Past. Du 25 octobre 2012 au 17 février 2013, s’est tenu au musée des Beaux arts de Budapest (Szépmüzeum, Museum of Fine Arts ), une exceptionnelle exposition consacrée à Cézanne , en référence à la tradition. Le Commissaire général de cette exposition était Judit Gesko. Art history, art theory and aesthetics in the early twentieth century were for a long time influenced by texts composed by artists and art critics approaching Cézanne and his œuvre via the artistic currents of their age. On the one hand, they regarded Cézanne as foremost among the ranks of the Impressionist and ‘Post-Impressionist’ masters who had breached academic standards and founded a new vision of art. On the other hand, he was counterposed to and contrasted with Impressionist painters. Many saw Cézanne as the ‘forefather’ of modern art, as the forerunner of Pablo Picasso, Braque and the Cubists, interpreting Cézanne as the acme and summation of the development of modern art, but many, on the contrary, celebrated Cézanne as the last of the old masters. As long as the thrust of nineteenth and twentieth century art history was to provide accounts of the progress of art, such notions continued to play a significant role in the interpretation of Cezanne’s œuvre. With the appearance of the concept of the Postmodern the study of Cezanne’s work also received a new impetus. Our contemporary view, expressed in the present exhibition, envisions Cézanne’s personality and œuvre within the context of his own times. We see him as an artist who is simultaneously of Aix-en-Provence and of Paris, one who manages to include the intellectual promptings of the mid-nineteenth century as part of his innovative work. One of the aims of the Budapest exhibition Cézanne and the Past: Tradition and Creativity is to present a balanced selection from the entire œuvre including the much debated early period and to provide an occasion for a new experiencing of the artist’s personality and works, free of stereotypes. The exhibition may be considered as a companion to the comprehensive 2009 exhibition in Philadelphia, Cézanne and Beyond demonstrating the multifarious effects of Cézanne’s œuvre on European and American artists of the twentieth century: Pablo Picasso, Henri Matisse, painters of the Russian avantgarde, De Stijl, Italian Futurists, Giorgio Morandi, and other figures whose works consistently explored the mysteries of Cezanne’s œuvre, just as the master of Aix explored works of older masters that presented challenges and solutions for his art. In the first section of the exhibition we display in a unique context two of Cézanne’s masterpieces, both depicting Mount Saint-Victoire, in a framework given by Nicolas Poussin’s Landscape with the Ashes of Phocion and by Georges Braque’s The Park at Carrières-Saint-Denis. While juxtaposing the paintings by Cézanne and Braque alludes to the issues raised by the Philadelphia exhibition, already at the starting point of our exhibition we signal a significant theme of the Budapest show: the role of prints based on paintings by old masters in the development of Cézanne’s representation of space and his system of composition. The negative judgement passed on his drawing abilities and the overemphasis placed on the landscapes within the œuvre have hindered the reception of Cézanne’s early work above all. For a long time this meant relegating into obscurity the sometimes provocative, sometimes ironic figural compositions of the 1860s and early 1870s – without which Cézanne’s mature art cannot be appreciated. Among the items of his early work dating from the latter half of the 1860s we find traditional copies, compositions based on literary sources such as Apuleius or Molière as well as studies from the art collection at Aix and the Baroque paintings at the Louvre. In the wake of discovering Goya and the Romantic painters a new animation and a decorative use of colour make their appearance in his works. Meanwhile Manet’s experiments with black, white and gray had a strong effect on Cézanne’s early works. Portraits relating to the artist’s private life, his adolescent circle of friends and the artistic associates of his youth appear in our exhibition in parallel with the unfolding of the œuvre. The biographical items depict the principal figures of the artist’s youth in Aix-en-Provence: Emile Zola, Philippe Solari, Achille Emperaire, followed by the circle of Camille Pissarro at Pontoise and members of Cézanne’s family. Alongside the copies and ‘imitations’ executed at the Louvre and at the plaster cast collections of the Ecole des Beaux Arts and the Musée du Trocadéro, the first section of our exhibition also presents copies made after paintings known to Cézanne only through reproductions. Cézanne’s unceasing studies in the Louvre were decisively complemented, from the mid-1860s on, by his experience of Camille Pissarro and his circle in Paris, Pontoise and Auvers-sur-Oise. The years spent with Pissarro and the studies based on the compositions and colour usage of Renaissance and seventeenth-century masters at the Louvre brought about a significant change in Cézanne’s style after 1872. During the late 1860s and early 1870s Cézanne, who was nine years younger than Pissarro, was still painting with dark colours and often with a palette knife. Pissarro encouraged him to leave these practices behind, and, instead of outlining his forms, to build them with delicate increments of tonal values. During these years Cézanne spent considerable time in the company of Pissarro and his circle of friends (Dr. Gachet, Guillaumet, Oller and others) in the Oise valley communities, where he began to paint using livelier colours, opting for themes free of emotional charge. Instead of the earlier paintings that used broad brushstrokes to convey the emotional physiognomy of gestures, depictions of imaginary scenes and projected dreams, he now began the meticulous study of phenomena in the visible world. His Baroque-derived style of painting changed: he often worked directly from nature, and began to paint by laying down small dabs of colour side by side. He arrived at colours without mixing, by juxtaposing their components. During these years Cézanne frequently turned to works of art in museums, but for him consulting the past did not mean looking for interconnections of meaning : on the contrary, he studied these works for the sake of their forms, and considered these as ‘material to be re-worked out of a compulsion to create’. From his early youth till the end of his life Cézanne investigated the art of the old masters, at first in the museum at Aix, then starting with his first Parisian sojourn he drew and painted at the Louvre and the Musée du Luxembourg and after its opening in 1882 at the Musée du Trocadero. 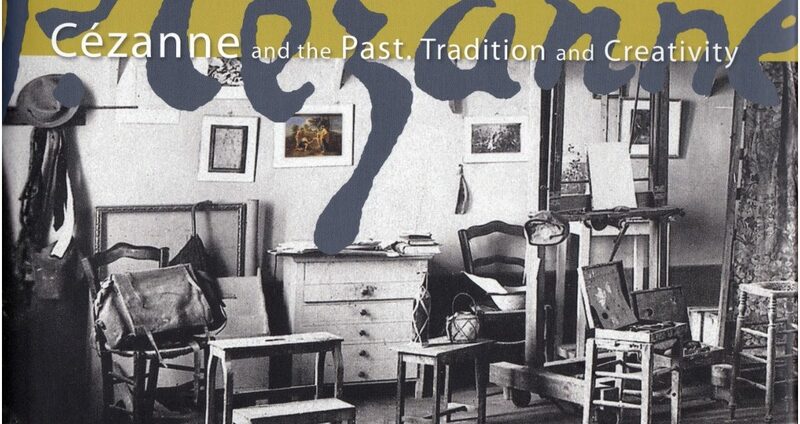 The question of who the artists were that Cézanne copied, and when, is discussed in the catalogue essay by Isabelle Cahn primarily through the evidence of Cézanne’s sketchbooks. Some he studied all through his life, while others proved to be of interest at certain important stages of his career. His youthful heroes were Poussin, Delacroix, Raphael, Veronese and Puget. When studying sculpture in the round he often made several drawings showing different views (a creative practice to which he also resorted in the realization of his landscapes). During the decade of the emergence of Impressionism, for the elaboration of his Bathers and other figural compositions Cézanne studied Michelangelo and Puget, as well as Antique statuary and the works of certain contemporary sculptors, while his painterly attention was attracted by the Venetian masters. From the 1890s on he continued his investigation of the sculptures of antiquity, copied works by French Classicist sculptors, and discovered for himself the art of Chardin. Until the end of his life he kept returning to the great colourists at the Louvre, to the works of Tintoretto, Veronese, Rubens and Delacroix. The experiments of the early landscapes led the way to the great late compositions populated by figures of bathers. Cézanne avoided linear perspective, nor did he resort to the devices of the Impressionists. He found the idea of atmospheric perspective unacceptable, for this method washed out forms and attenuated colours of objects as they receded in distance from the viewer. He declared that the mass of forms and the clarity of colours had to possess equal value at all points of the painting. Again, engravings after Poussin’s landscapes show his influence on Cézanne’s compositions. The variants of the Card Players group of paintings are all traceable to art historical precedents: in our exhibition the painting from the Musée d’Orsay and the composition from the Metropolitan Museum are presented alongside Mathieu Le Nain’s Card Players from the Aix museum and a watercolour by Daumier. It has been traditional among art historians not to treat Cézanne’s Card Players as genre paintings, since the figures have often been compared to objects in a still life, and the compositions themselves have been considered to be ‘still life-like’. In Cézanne’s late portraits human figures have the appearance of unique objects. Every portrait shown here – among them An Old Woman with a Rosary, Madame Cézanne’s portrait from Houston, the famous portrait of Ambroise Vollard or the two versions of the Seated Peasant – is situated at the intersection of creative power and given reality. These portraits carry the torches of freedom within Cézanne’s œuvre. Their birth depended on the umbilical cord connecting the painter to the given world. Just as he did with the faces of the portrayed, Cézanne had to liberate the solutions he learned from the old masters from their ephemeral immobility before freely re-formulating them. Although Cézanne had tried to learn the basics at the art school in Aix-en-Provence and at the Académie Suisse in Paris, he had a strong sense of deficiency in the study of human anatomy. Even for his later masterworks, the countless compositions of Bathers, he made use of previously drawn museum copies, figure drawings, studies in form and composition sketches, instead of working from life. However we must not confuse difficulties stemming from a lack of drawing ability with those intentional distortions which he employed in the interest of shaping a new composition. The drawings, paintings and lithographs depicting bathing men and women illustrate the strivings of the final years, in which this grand master of ‘builderly painting’completed a synthesis of all that he had apprehended and continued to reshape during his four decades as a painter. Nearly one hundred and fifty works by Cézanne depicting motifs associated with Bathers and demonstrating the innumerable formal sequences to be found in his œuvre have survived, from the 1870s on. Cézanne held in the highest regard the Arcadian idylls painted by the classic masters, yet he was not interested in re-figuring or re-enacting them. Instead, he painted generalized figures into the landscape. These works integrate into Cézanne’s own approach at the highest level both geometry and the experiments relating to perspective as well as the studies dealing with space and composition. For the closing chords of the exhibition we include the artists and critics from the second half of the nineteenth and the early years of the twentieth century who either influenced our painter’s way of thinking or formed their individual evaluations of Paul Cézanne’s art, helping in the interpretation of his relation to the old masters: Charles Baudelaire, Antony Valabrègue, Ambroise Vollard. Julius Meier-Graefe authored the first monographs on Cézanne, Roger Fry introduced into art history the concept of ‘Post-Impressionism’, and both examined Cézanne’s relationship to the older masters, as did Simon Meller and Charles de Tolnay, who played important roles in the early twentieth century intellectual life of Budapest. 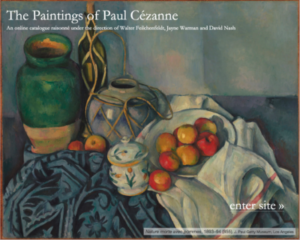 The catalogue attempts to interconnect several currently active schools of Cézanne studies from Europe and the United States. Richard Shiff’s writings on Impressionism and Post-Impressionism, with their analyses of sources, reflections upon creative originality and critical interpretations have had a seminal effect on scholarship over the past decades. In the Budapest catalogue Shiff’s essay reconstructs the concept of sensation, using it to derive conclusions about Cézanne’s oeuvre and personality. Sensation is related to the concept labelled as impression by critics and artists in the 1870s. These painters defined their artistic activity as the unmediated rendering of their sensory impressions, independent of the meaning of the motive. Shiff demonstrates the process of sensation and creation of the painting, the manner in which Cézanne recorded his sensations, and thereby recorded not the view itself but the living instances of his experiencing the view. Regarding Cézanne’s relation to the old masters, Richard Shiff is in agreement with Maurice Denis, according to whom Cézanne did not discover a timeless classical style by following the formulas of older masters but spontaneously evolved artistic values that equalled their traditions. Inken Freudenberg, whose monograph Der Zweifler Cézanne perhaps offers the most information we have about the artist’s youth, in her essay ‘”And the Picture, Once Left, Torments and Pursues Us”: Cézanne and Delacroix’ reveals the similarities between these two artists. The essay, after summarizing the written and drawn evidences of the relationship, proceeds to examine the connections between those writings by Delacroix that were well known to Cézanne and the art of the latter, placing emphasis on the role of memory conceived as a driving force in artistic creation. She next analyses those works by Delacroix that aim by their systematic disorder to draw the viewer more deeply into the picture, and goes on to demonstrate analogies with this strategy in Cézanne’s paintings and in the creative method underlying them. Peter Kropmanns in his essay ‘The Trophy of Conquering Love: Cézanne and Poussin’ considers every aspect of the much debated connection between the two artists, from the now lost copy of The Arcadian Shepherds executed in 1864, all the way to the reproduction of this painting hanging in the Les Lauves studio. After the study of Cézanne’s statements about Poussin, the other inquiry of the essay concerns the extent to which Cézanne may be considered as the heir to Poussin. The 2010 exhibition at the Courtauld Institute, Cézanne. Card Players, co-curated by Nancy Ireson, examined a group of paintings from Cézanne’s œuvre that had roots in the old masters and in the formation of which Cézanne provided a tangible picture of his own view of the past. 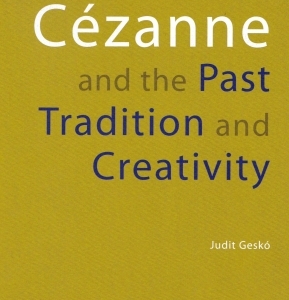 Nancy Ireson’s Budapest essay – which may be considered as epilogue of the London catalogue – reviews the art historical methodologies in the approach to the paintings, starting with a historical and sociological examination of the paintings’ subject matter within Cézanne’s circle and within his personal history. According to Ireson, Cézanne’s view of the past may be seen better in the light of Hippolyte Taine’s lectures, which emphasized the living qualities of the art of the past, as well as in the light of Walter Pater’s texts that spoke of a fresh and individual re-experiencing of the art of the past. The essay recounts one hundred years of interpretations devoted to the Card Players, and takes delight in the multiplicity of attempts at explication. Klaus Herding, who is currently working on a definitive monograph on Puget, here analyses nearly a dozen study drawings to demonstrate that the two Provencal artists had ‘a related interest in imbuing nature with vibration, while at the same time taming it architecturally’. In his drawings based upon Puget’s sculptures Cézanne systematically deconstructs the seen objects, relies on them to lend plasticity to his drawings, while in the process of drawing tears them down, reinvents them, and redefines them as different from what they were. These analyses demonstrate the interweaving act of copying/transformation/self-expression, the fact that ‘the copy results in its opposite, in the sorrow-filled creation of a new world of Cézanne’s own’. The texts in the section ‘Cézanne and Museums’ reflect upon the material in museums frequented by the artist, but they also examine his imaginary museum as well. Bruno Ely (Musée Granet, Aix-en-Provence) enumerates the art objects of Cézanne’s birthplace, at the local art school, and at the municipal museum at Aix, following the chronology of the artist’s oeuvre. Mary Tompkins Lewis, professor at Trinity College in Hartford, Connecticut describes in her essay Cézanne’s relation to the Musée du Louvre, details the contemporary history of this museum along with the shifts in opinions about the works and schools of art exhibited there, and thereby provides the background to the copies and drawings made by Cézanne, which she considers to be critical essays created in the process of a conscious and brilliant appropriation of the past. She examines the series of works copied by Cézanne, pointing out the reasons for his interest, and expounds whether the painted or drawn piece eventually finds a place in Cézanne’s own work. From the beginnings of his career till 1890, one tenths of Cézanne’s copies from old masters – approximately forty drawings, watercolours and paintings – were based upon various reproductions. Anna Zsófia Kovács takes stock of the books and periodicals in Cézanne’s possession. 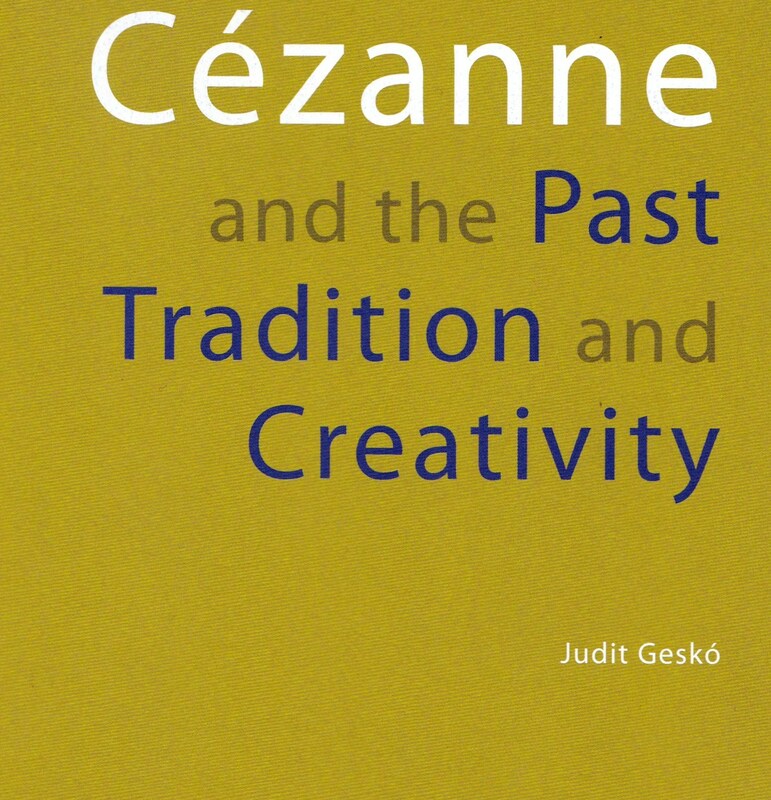 Reviewing some of these copies, she considers the reasons for making them, their treatment of form and colour, and gives a detailed account of the aversion expressed by some of Cézanne’s admirers and visitors during the 1890s regarding his use of reproductions that were by then thought to be technically obsolete. In the treatment of the connections between Cézanne and certain earlier artists we incidentally learn about the first decades of Cézanne’s reception, and from the art historical attitudes taken to individual paintings and series of paintings we can observe the unfolding of the Cézanne-image prevailing in our days. The reception accorded Cézanne is not a supplementary part but one of the actual themes of our catalogue. Invitations were addressed to scholars who are not Cézanne specialists but who had previously played a role in the rebirth of historiographic research into the art of the nineteenth and early twentieth century. Linda Whiteley’s essay on ‘The Reception of Cézanne. Cézanne and the Past’, starting with the earliest reports about Cézanne, delineates the image of Cézanne formed by his coevals, and subsequently by the younger generation of artists and art critics. We are given a sense of the way this image became altered by the changing artistic viewpoints of those who wrote about him, and of the interactions that gave rise to those elements that are still formative in our current picture of the artist. The importance of Cézanne’s attitude toward the past was first pointed out by visitors to his studio in Aix, to whom the aging artist spoke on this subject. This was followed by the generation of art critics in the early twentieth century responsible for re-writing the history of European art. Among these the figure of Roger Fry is of paramount importance for Whiteley since he was the one who first introduced the figure of Cézanne to the English-speaking world. Caroline Elam examines this essential figure more closely in her essay titled ‘Modern Vision and the “Older Masters”: Roger Fry’s Cézanne’. Fry, who introduced the much-debated concept of ‘Post-Impressionism’ in 1910, arrived at the theoretical and critical views needed for understanding Impressionism and ‘Post-Impressionism’ by way of reappraising older art and designating new emphases. Among these Elam examines the receptions of those who proved important for both Cézanne and Roger Fry, such as Luca Signorelli, El Greco and Poussin. Lukas Gloor’s gives an account of the decades from 1920 to 1950, during which Cézanne was interpreted along two utterly divergent lines of thought: according to one school, he was a reincarnation of Poussin in modern garb, and according to the other, he was the great forerunner of modern art without whom Cubism could not have come into existence. The essay provides a vivid picture of this duality in an overview of the art worlds of France, Germany, England and the United States. Three essays in the catalogue treat the topic of Cézanne in Hungary, where the painter’s influence was first felt around 1906. News of the Berlin and Vienna exhibitions along with the writings of Meier-Graefe prompted the young Budapest art critic Lajos Fülep (1885–1970) to set out for Paris where he encountered close to a dozen paintings by Cézanne at the exhibition of the Salon d’Automne. Cézanne’s effect on the short-lived art critic Leo Popper (1886–1911) was similarly monumental. In his essay on ‘The Early Reception of Cézanne in Hungary, 1906–1910: Fülep and Popper’, Ferenc Gosztonyi examines the statements regarding Cézanne made by his two subjects between 1906 and 1909, providing an idea of Cézanne’s reception in Hungary, while also describing the endeavours of these critics to ascertain the ways in which Cézanne had surpassed Impressionism, and the manner in which he forms a bridge between classic and modern art. Fülep strove to define the ‘subject matter’ of Cézanne’s paintings, while Popper, comparing Cézanne and Breughel, created the concept of the ‘Allteig’ that gained wider recognition through the early aesthetic writings of Georg Lukács. In the background of this survey we encounter just about every one of the significant figures of the period’s art criticism and aesthetics in Central Europe.